Our consortium aims to build a comprehensive model of how developmental differences arise between children, by filling crucial knowledge gaps. The CID special issue in Developmental Cognitive Neuroscience (DCN) will describe the theoretical scope and approach of the four different work packages, our human and animal measures to examine the two guiding CID concepts of behavioural control and social competence, as well as the methodology needed to ultimately understand and predict individual differences. Finally, the special issue will include a series of empirical papers that demonstrate the available data, and the advanced methods and possibilities of our large (integrated) experimental and longitudinal datasets. Brief descriptions of the potential papers (provided by the corresponding authors), have been collated in a booklet. Anna van Duijvenvoorde (Assistant Professor, LU, WP2) with expertise in longitudinal imaging, social development and reinforcement learning. Stefanie Nelemans (Assistant Professor, UU, WP3) with expertise in adolescent development, anxiety and depressive symptoms, longitudinal analyses, and genetics. Margot Peeters (Assistant Professor, UU, WP1) with expertise in adolescent development, risk behaviour, behavioural control and social context. Angela Sarabdjitsingh (Assistant Professor, UMCU, WP4) with expertise in animal models, early life stress, neuroendocrinology and meta-analysis. 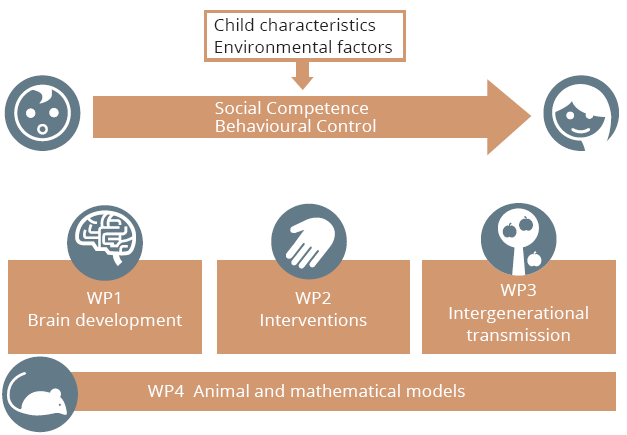 Eveline de Zeeuw (Assistant Professor, VU, WP3) with expertise in twin studies, population genetics, educational achievement and behavioural problems.